Pursuant to Connecticut General Statute (CGS) 263, sec 15-13c, the Connecticut Pilot Commission (CPC) was tasked to advise the Commissioner of the Connecticut Department of Transportation (ConnDOT) on issues related to the licensure of marine pilots, the safe conduct of vessels, pilotage rates and the protection of the ports and waters of Connecticut. 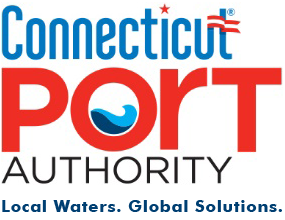 In accordance with Public Act (PA) 15-5, administrative oversight of the CPC was transferred from ConnDOT to the Connecticut Port Authority (CPA). Once transferred, the nine Commission members, include appointees of the Governor and various legislative leaders, the CPA Executive Director and a pilot representative, representing a broad spectrum of business, maritime, and environmental interests. The Commission currently includes members with expertise in admiralty and environmental law, shipping, stevedoring and port operations, as well as experience as Merchant Marine, Navy, and Coast Guard officers. Further information regarding the Commission, including a monthly meeting schedule, agenda and minutes, will be available at portsct.com.